We still have to wait until January until we can watch the new Les Misérables film, starring Hugh Jackman, Russell Crowe and Anne Hathaway. 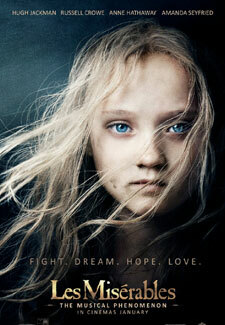 But to whet our appetites for the movie adaptation of the West-End musical, the poster featuring a young Cosette has been released, as has a behind-the scenes featurette with the stars and director Tom Hooper, explaining how the actors approached the infamous songs from the musical. The film is currently scheduled to hit UK cinemas on 11 January 2013. Will you be buying tickets? Let us know in the comments below.